Ahh. That time has arrived: the final glorious moment to revel in the most delicious of tunes (and beers) before school starts back up, not that I have to worry about that anymore (college graduate speaking). Ironically, I start a full-time job the same time my college successors start classes. So, I’m basically going back to school, but from 8:30-5:30 every day and without free USC t-shirts and pens and sometimes cookies. Adulting is hard. Before we talk about what is on the horizon for this upcoming weekend, let’s chat about what went down last weekend, the official last moments of “I don’t have any homework/a job/insert your word of choice here” freedom. 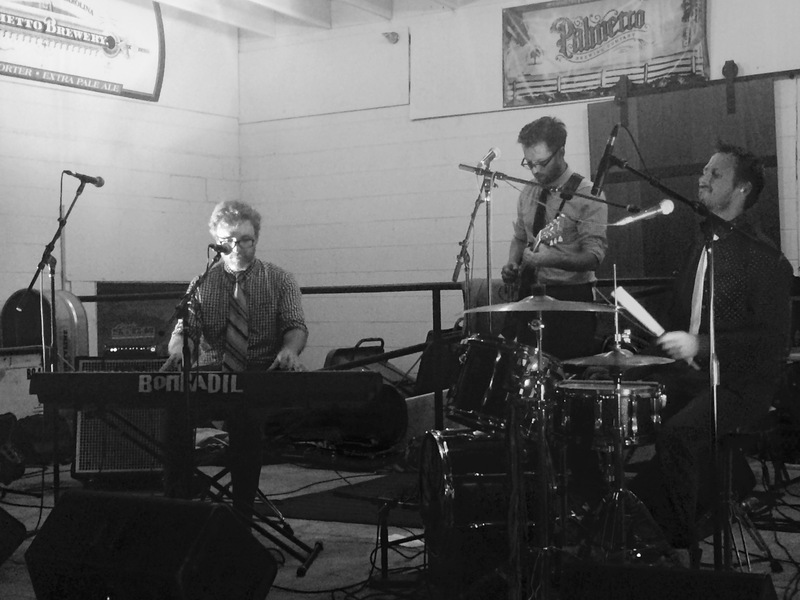 My weekend began on Thursday at Royal American with jazz aficionados The Lost Trophy Quintet (really a quartet; I will explain), and escalated into Friday at Palmetto Brewing with honey-sweet harmonizing trio Bombadil. I’ve had the pleasure of interviewing both groups, but it was much better seeing them live instead of listening to their tracks on Spotify and googling their websites. The Lost Trophy Quintet is a collection of four classically jazz-trained Charleston musicians on saxophone, drums, keyboard, and bass: Michael Quinn, Ron Wiltrout, Sam Sfirri, and George Baerreis. The invivisble fifth member of the quintet is dubbed the “sacrificial virigin leopard,” but Quinn informed the audience he/she (?) wasn’t in attendance that night. This show was only the second time the whole group had played together, but that’s not the most impressive part. The music was entirely improvised. Each song was made there on the spot. As top-tier talents in their respective instruments, the collaboration created an intelligent and well-constructed conversation through jazz-heavy soundwaves. While Wiltrout directed the music with the rhythm of the drums, Quinn took the reins on saxophone quite a bit throughout the session. Without vocals to tie things together and keep things brief, some of the songs tended to lean more toward the Phish end of the spectrum. However, it wasn’t bothersome because of the constant changes made in cadence throughout each segment. Some jellybean wine will definitely come in handy after next weekend’s shenanigans, which for Charleston involve a double-header of King Dusko goodness before the beloved artistic venue closes at the end of the month. The So Long Summer Backyard Barbecue on Friday includes $1 hotdogs and music by JM Hutchinson, Chamberlain The Brave, and LAD; tunes kicking off around 8 p.m. 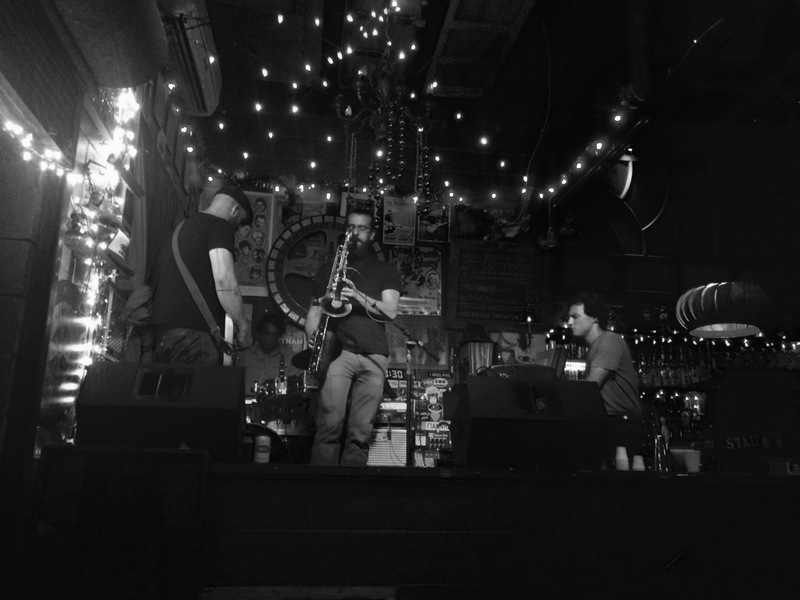 The Last Dance for Dusko will then be held at Palmetto Brewing on Saturday with a killer lineup starting at 2 p.m. and carrying on well into the evening.